At first glance, golf may appear to be one of the lower impact sports. And true, you may rarely see the physical exertion one may expect from say, basketball or football, but the sport still has its share of injuries. Many ailments are related to back pains, especially in the lower back, as this is one of the most commonly affected areas due to faulty movement. But other areas of the body can be adversely affected by overuse or improper movement and/or lack of mobility. Fortunately, there are a number of exercises which can prove quite proactive in helping to avoid golf-related injuries. By far, the back, and particularly the lower back, is one of the areas most affected by repetitive swing motions. Therefore, one of the most effective “cures” is to develop proper movement patterns. Yes, your lack of proper movement patterns not your swing is what is causing your pain. By continually swinging with restrictions throughout your body you overwork muscles in an improper movement pattern. This causes strain and fatigue to occur, leaving you injured and unable to play the game you love. It’s critical to develop proper movement patterns associated with the golf swing to improve overall performance and decrease the instances of injury. If you experience back pain now, there are a number of stretches and movement prep exercises that can bring relief. Our programs at Tampa Strength use a whole body approach. Starting at the ankle and working up the body to find dysfunction and prescribe the appropriate exercise program to aid and improve your movement skills. Again, the importance of proper movement patterns cannot be overstated. Making sure your body moves properly not only reduces the instances and severity of injuries but also improves your overall golf game. For best results in planning a workout routine, it’s advised to consult a certified Titleist Performance Institute (TPI) trainer. Their training and knowledge in golf performance aids in assessing your overall condition and prescribing the best exercises for your situation. 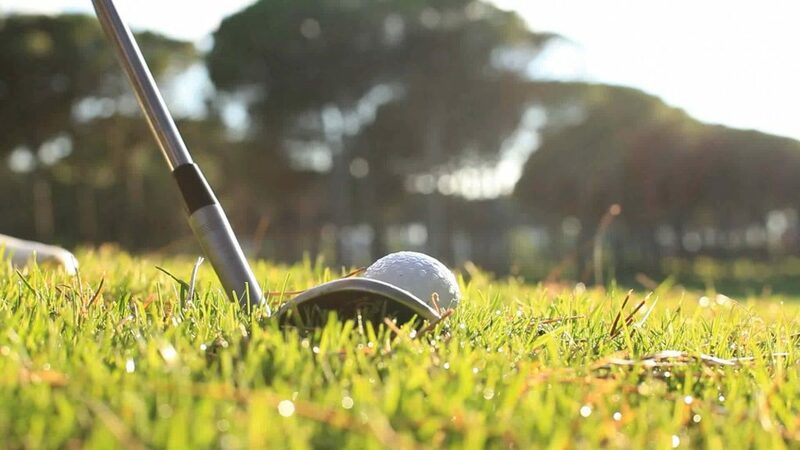 Golf, as a sport, can be one of the best for longevity of the player. Men and women well into their golden years can play and enjoy the game. Few other sports can boast such a claim. But enjoyment of a sport is contingent in part on the health of the athlete, which is why it is critical to be aware of your body, its limitations, and ailments. If you experience discomfort now, it’s recommended you seek the advice of a professional trainer, sports medicine doctor, or coach. At Tampa Strength, we put together a complete program to improve your whole-body mobility and movement patterns, thus improving physical health and overall game.